Is The Ban On Gun Sales To Medical Card Carriers Unconstitutional? A federal appeals court has upheld a lower court’s ruling that placed a ban on firearms sales to those who carry a medical cannabis card. A federal appeals court has upheld a lower court’s ruling that placed a ban on firearms sales to those who carry a medical cannabis card, saying that the card gives a firearm dealer a “reasonable cause to believe” that the person attempting to make the purchase is using drugs illegally. The ruling stems from the 2011 case of a Nevada woman, S. Rowan Wilson, who sought to purchase a firearm and was refused by the store owner. The owner declined to make the sale by citing the federal ban on the sale of guns to illegal drug users. Wilson claims that she is not a user of cannabis, but rather acquired the card to show political support for the push for medical cannabis. Then, on Wednesday, the 9th U.S. 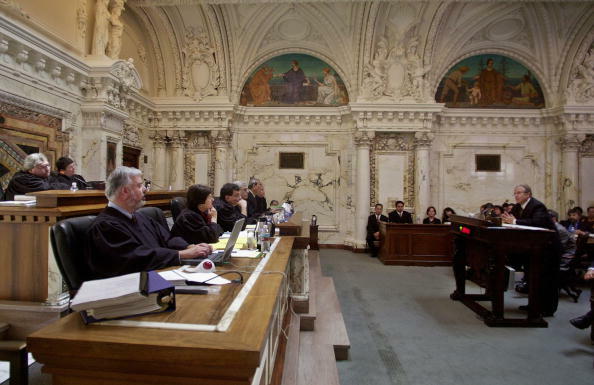 Circuit Court of Appeals issued a unanimous 3-0 decision saying that it was reasonable to assume Wilson was a likely user of cannabis, and therefore in violation of federal law regarding its use. The Court found that declining to sell a firearm to someone suspected of using illegal drugs is not a violation of the prospective gun owner’s Second Amendment rights. Interestingly, the Court’s ruling covers nine states, eight of which have passed laws allowing for the distribution and use of medical cannabis. The Court, however, found that federal law — which outlaws the use of cannabis — takes precedence over state law on the matter. Wilson’s attorney, Chaz Rainey, expressed disappointment in the ruling, saying that adherence to the Second Amendment should be more consistent. We live in a world where having a medical marijuana card is enough to say you don’t get a gun, but if you’re on the no-fly list your constitutional right is still protected. The ruling also rankled pro-cannabis activists. NORML Deputy Director Paul Armentano rejected the notion put forward by the Court that cannabis users were more likely to commit violence. Responsible adults who use cannabis in a manner that is compliant with the laws of their states ought to receive the same legal rights and protections as other citizens. Wilson and her attorneys plan to appeal the decision. 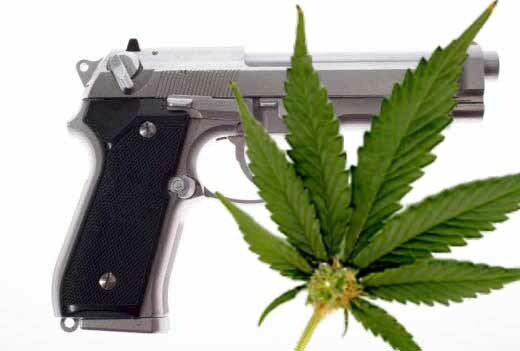 Do you think the Court was correct in declining to sell a firearm to a person with a medical cannabis card? Tell us on Facebook, Twitter, or in the comments below.